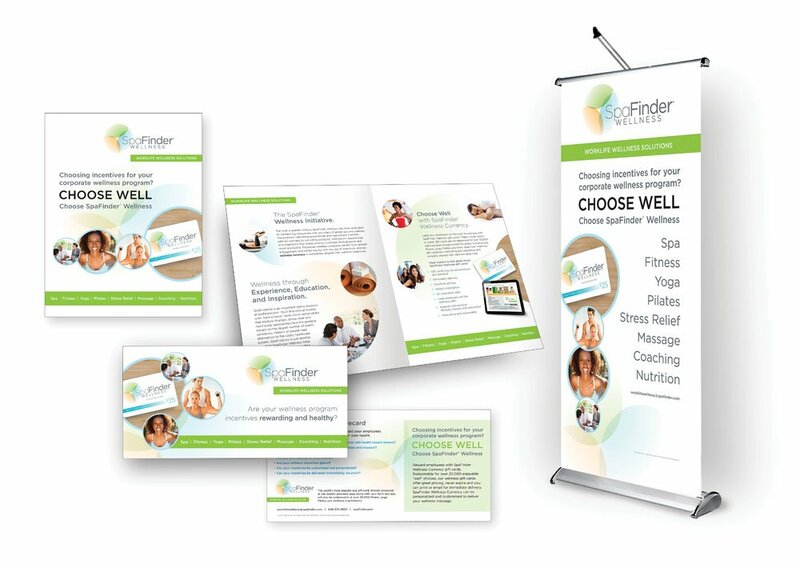 [/vc_column_text][vc_empty_space height=”20px”][/vc_column_inner][vc_column_inner width=”2/3″][vc_column_text]SpaFinder Wellness asked Vortex to develop sales collateral about their incentive programs for a trade association meeting focused on corporate wellness. In this case, SpaFinder’s decision to attend the show was last minute, and so the budget to produce everything was going to be an unanticipated expense. The firm’s Creative Director, Tom Weinkle sums up the realities, “Under normal circumstances, the corporate review and approval process for a project like this can take at least a week.” In this situation, Vortex needed to get budget approval, design, print and deliver print collateral along with a pop-up display, and table wraps all within two weeks.